Want to leverage artificial intelligence in your applications but don't exactly know how to? Looking for a quick head start into the world of chatbots? Would you like to make your Laravel apps more intelligent by implementing the powers of machine learning and deep learning? Well then welcome to Laratalks, A.I. edition! 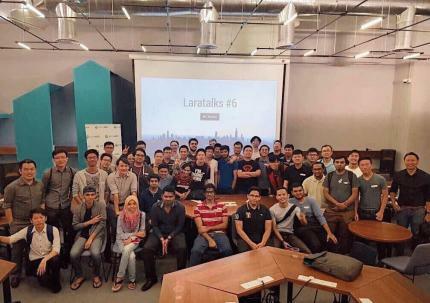 Laratalks is a cool session where passionate developers share interesting tricks of the trade, hacks, lessons and their expertise about Laravel, PHP and web dev in general. However in this session we are going a little off-track into the world of artificial intelligence. 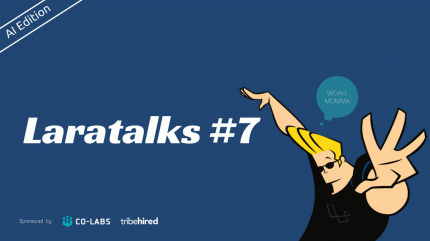 Check out last months series of talks (Laratalks #6) which was also held at Co-labs. And here is what we have in store this month! Ample parking space in the mall and around the area, free of charge! This month we are being sponsored by both Co-labs and TribeHired. Co-labs is a shared office and incubator space uniquely designed for creatives from rising entrepreneurs, freelancers, digital nomads to professionals. 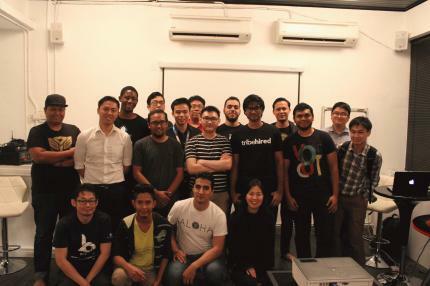 On the other hand, TribeHired is a talent marketplace where companies compete to hire top talent. Do check them out when you can, they do some great work! Co-labs is located inside Utropolis Marketplace mall which is just beside KDU University College, Glenmarie. The Glenmarie LRT Station is about 10 mins drive to/from Co-labs (RM8 Grab one-way).